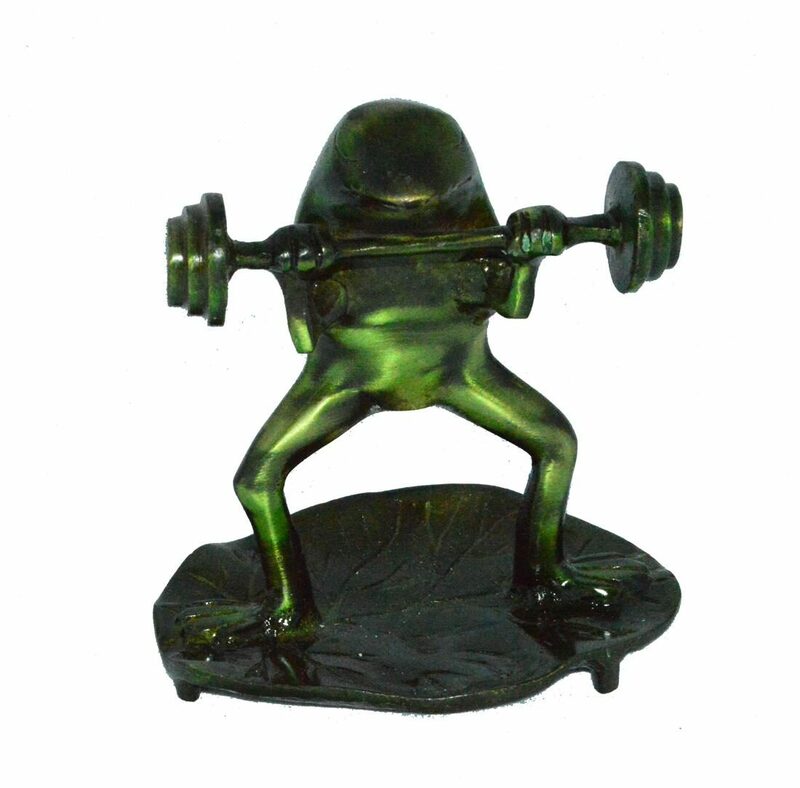 Give Royal Touch To Your Home Decor With Decorative Brass Bodybuilder Frog. Featuring An Excellent Finish, This Statue Looks Extremely Classy And Elegant. This Royal Piece Of Art Simply Shows That How Can A Simple Work Of Art Turns Into A Master Piece Of Craftsmenship. It Can Also Serve As A Great Gifting Option For Your Loved Ones, Family And Friends. This Statue Has Been Diligently Handcrafted By Skilled Artisans Of ECraftIndia Using Various Conventional Techniques.